Well hello to you my reader chums! As we've now entered into the lovely month of May, its time to share with you what I've been loving throughout April. I genuinely cannot believe April went that quickly and we are in the 5th Month of the year, it seems only yesterday I was writing my March favourites! I'm really excited for the last day of May to come up as that's the day I go on holiday with my best friends so its really exciting knowing we have under a month to go! 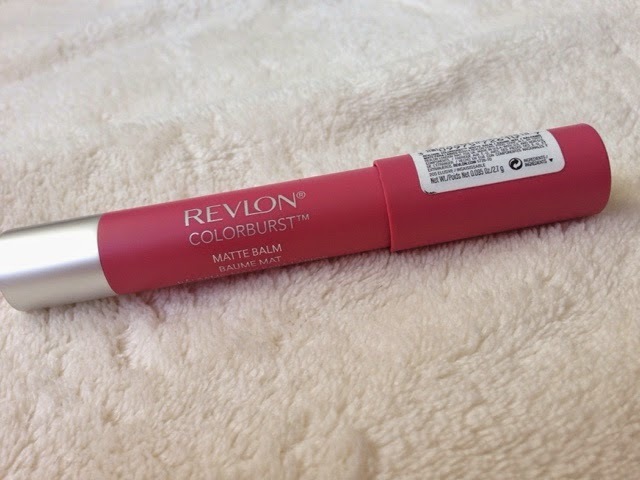 My first favourite has been the Revlon colour matte balm in 'elusive'. I love these matte balms because they have such a long lasting power, give the nicest matte finish and come in such a lovely colour selection. 'Elusive' is a rather mid pink, subtle colour, perfect for a little pop to a light Spring makeup look. I've been wearing this on shopping days or similar activities and its served me well! The balm is one of those lip products that doesn't feel like you have lipstick on your lips,yet gives a lovely, pigmented finish. Another lip product I've been loving is the Revlon lip butter in 'peach parfait'. 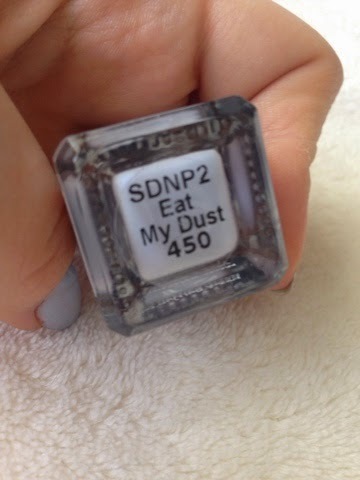 I've been using this on days where I wanted something on my lips that I can easily put on and is very subtle. 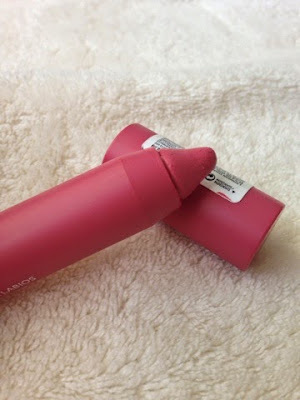 For that look, this is perfect because it gives the prettiest pink glossy sheen, adding a bit of oomph to natural lips. I also love how moisturising this product is, something I prefer when applying anything to my lips as I'm not keen on products which dry out the lips. As its quite a quick application, a mirror isn't needed and it still gives a sweet finish. 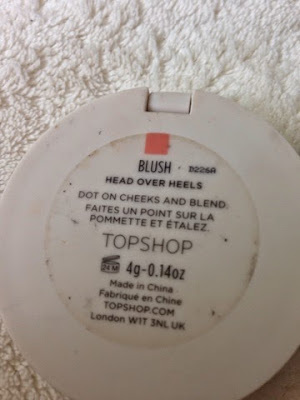 The next makeup product is Topshop's cream blush in 'Head over heels'. I've gotten back into cream blushes lately, alternating between my two Topshop blushes 'morning dew' which I used a lot last month and mentioned in my March favourites and this one. However over the month, I've been reaching for 'head over heels' shade a bit more because its more of a toned down blush. The colour is a red/pink in between shade and I find it gives a muted look to the cheeks. Its a powder finish even tough when applied, the consistency is creamy, an aspect I like. 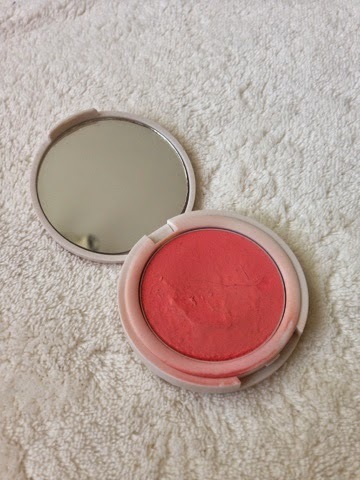 For those who prefer blushes that aren't too pinky, this is the one to go for! 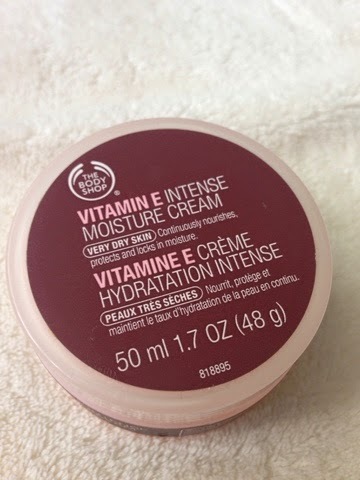 My skincare favourite of the month is this Vitamin E intense moisture cream from the Body shop. I used to apply this as part of my morning skincare routine when my skin went through a drier stage and then I started alternating between my normal moisturiser and this one. However, I then stopped using it completely until I picked it up again the other month and began applying as part of my nightly routine. Before bed, I'm not really a fan of heavy moisturisers because I don't like the feel of something sitting on my skin for a while before it absorbs in. 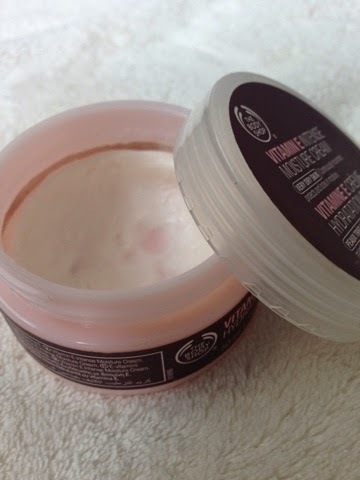 Therefore, this one has become a real favourite because even though it says intense, the consistency is very light, sinks in quickly and leaves my skin feeling ultra soft; I love it. 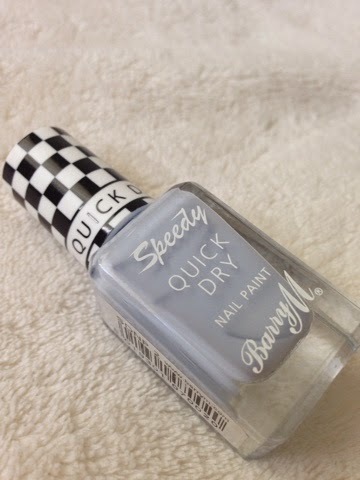 The last product is a BarryM nail polish from their new speedy dry range in the colour 'eat my dust'. I was intrigued when I first heard about this range because I'm one of those people who get very impatient when waiting for nails to dry! 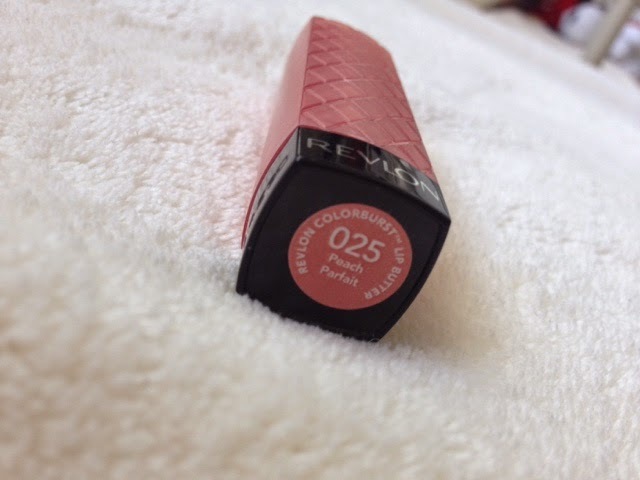 I therefore picked up this very Spring like colour and couldn't wait to give it a go. The consistency initially was quite thin and I had to build it up, yet after a few layers it was a beautiful pastel blue colour. When it was built up like this, the nail polish did dry fairly quickly which I was really happy about. Due to this, I think I'm going to be getting a couple more of the range! For my non- beauty favourite of the month, I have to say it was Pinterest! I finally jumped on the band wagon around the end of February and have been obsessed for the past two months ever since! I can understand why people have hyped about it for so long, its basically become my virtual wish list and future goals! If you want to have a nose into things I'm obsessing over, you can follow me here. 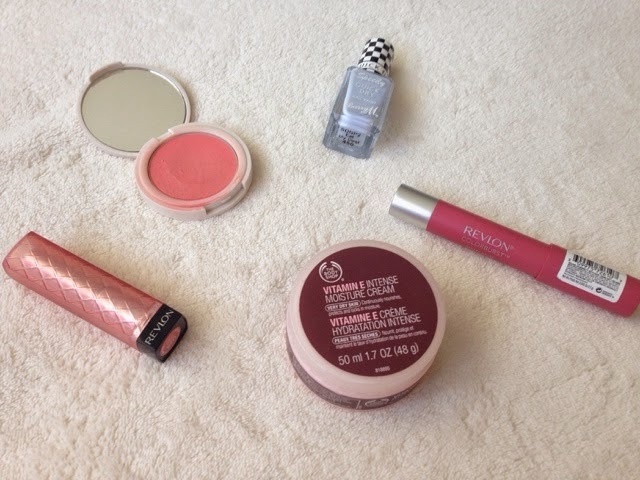 I hope you enjoyed my April favourites! What have you been loving this month? Revlon colourbursts are amazing! Some of my top lip products for sure :) I'll have to check out that shade; it looks amazing! Love TBS cream and Barry M nail paints. 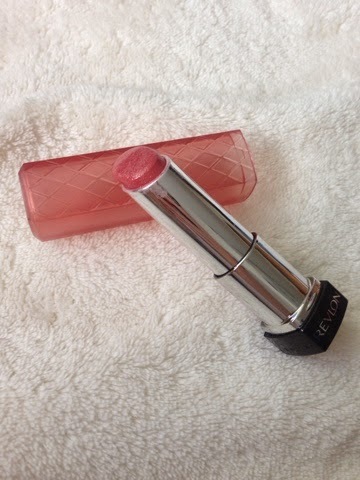 I love the Revlon lip butters, great colours. The Peach parfait shade is one of my all time go to lipsticks.